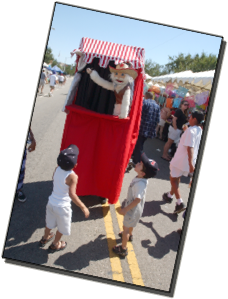 We provide all types of carnival rides and games for any festival, school fair, private event or wedding. Pricing depends on what your preference is, date, location and packages. From ferris wheels, merry go rounds, trains, rides, roller coasters, arcade and carnival games, we have a full set of carnival rentals. We can also provide food carts and tent, canopy rentals. If you, mostly, have pre-schoolers, we have the perfect show for you. 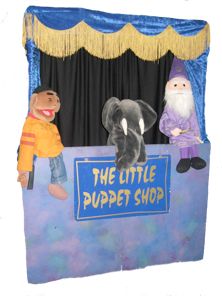 We call it Puppet Time and we use a small, adorable, special preschool stage with no curtains to block the view of the puppeteer. This lets the performer be visible throughout the show. Also, since the children are so young, we dont expect them to follow a complicated story. 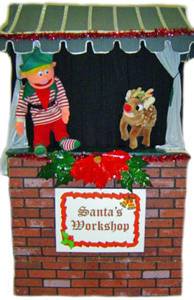 Instead, the performer sings familiar childrens songs and acts them out with the puppets This is great for babies and toddlers because they can touch and hold the puppets and play little musical instruments. Also, the songs- Hickory Dickory Dock, Happy and You Know It, Old Mac Donald etc. really hold the childrens attention because they are familiar favorites. We can also incorporate a Baby Einstein or Sesame Street theme, if requested.for a 30-40 minute show in Los Angeles. For extra special events, you can also add a guitarist to play all the live music. We also have strolling puppet shows and marionettes, face painting, clowns, balloon makers, tattoo artists, physics, Petting Zoos with Pony Rides and more.